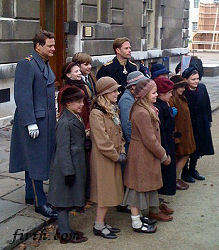 Colin Firth on set of The King's Speech. Colin Firth on set of The King's Speech. Wallpaper and background images in the Colin Firth club tagged: colin firth king george vi the king's speech movie 2010 on set photos on location.